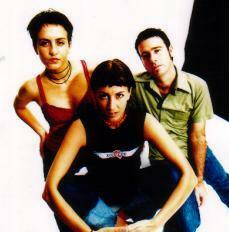 At the end of 2000 Gjallarhorn released their second CD called Sjofn with wide distribution. Not only did it surprise many reviewers of folk magazines; it also found its way into several rock magazines as being original and stunning psycho music. 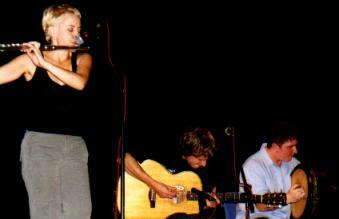 Lead singer Jenny Wilhelmsen is the driving force behind the group and almost addicted to finding new material. New material? No, actually old material. Eelco Schilder has talked with Jenny. Harald Haugaard is 26 years old. He playes the fiddle, viola and hurdy-gurdy. He is a folk musician, but forget all about traditional costumes and clogs stuffed with straws. The year is 2001. This is a living tradition. Søren Lund on one of the most important musicians of the New Folk Scene in Denmark. 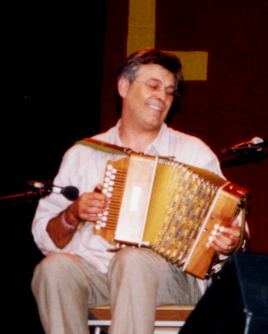 One of the greatest Italian bands.Riccardo Tesi has had his share in reviving the accordion in Italian folk music. 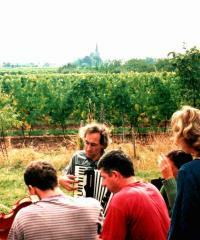 Today he is one of the outstanding melodeon players in the Italian folk scene. With his new band Banditaliana, he is creating innovative and rather superb music crossing borders especially towards Jazz. Michael Moll met the sympathetic Italian in the far North, at the Falun Folkmusik Festival. Who or what killed the wren? The old winter custom survives in only a few pockets of tradition, why did it die out? Was it indifference, suspicion, emigration, the harsh grinding poverty of rural Ireland or the coming of electricity, the triumph of secular greed over spiritual wealth? Sean Laffey compiles some of Seamus Tansey's teenage memories. 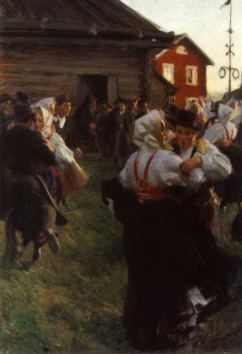 In the final part of his Scanfolk series, Michael Moll travels to Swedish Dalarna to find out the connection between Sweden's best painter and a folk music revival, as well as discovering a region full of folklore, red horses and houses and - folk music! Eelco Schilder gives an introduction to the catalogue of a very special label from the United States, one of today's few labels active that search for traditional music world wide and specialise in re-issueing old recordings from 1928 up to 1989. Eelco presents 8 CDs of the Global Village Catalogue. After his rambling year in Scandinavia, Michael Moll has settled in England's County Suffolk, and directly starts a new series discovering music and curiosities about the folk scene and beyond. In this article, he reports about a Folk & Jazz garden chair display, professional Promers and folk music in a church. Woven into that you will even find some notes about folk gigs from this summer and autumn. "If I raise my head and lift up my body a little bit, I'm just able to see over the stacks of books surrounding my chaise longue. That's too much." A problem that Tom Keller has regarding his books for review. He decides in the end to write about the books "Carolan - The Life, Times and Music of an Irish Harper", "Bringing It All Back Home" and "Celtic Music - The Essential Listening Companion". A Scottish folk music invasion in the never dark Swedish summer nights. 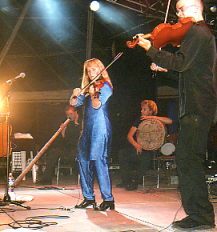 The small town of Falun in the middle of Sweden is best known for its copper mines, yet another attraction is probably much more worth a note, and that is the annual Falun Folkmusik Festival, Sweden's biggest folk and world music festival. Michael Moll was there, enjoying a wonderful mix of Swedish, European and international Folk Music, with a special emphasis this year on Scotland. Excellent quality event. Folkwoods Festival is maybe the best organized folk festival I know. Mid August 2001 the second editon took place in the very nice location of the Philips van Lennepark in Eindoven in the Netherlands. This festival is presenting lots of young and fresh bands, but also some good old established friends. Try out the FolkWorld Search Engine or FROG to search for a particular musician/band! Bretonische Tänze, irische Reels und Pfälzer Wein... Erneut trafen sich am ersten Septemberwochenende über 100 Freundinnen und Freunde von Folkmusik und –tanz, um am Rand der Haardt ein fantastische Zeit zu verbringen. Marcus Metz war dabei. Tom Keller hat mal wieder seine Nächte mit Schmökern in Folk-Büchern verbracht. Hier berichtet er auf amüsante Art, was er neues erfahren hat in Büchern wie "Máire Brennans Irisches Leben", "Bob Dylan. In eigenen Worten. ", "Back to the Sixties - Bob Dylan", "Woody Guthrie: Dies Land ist mein Land." oder "Didgeridoo und Känguru. Eine Reise durch Australien in Spielen, Liedern, Tänzen und spannenden Geschichten für Kinder". Ein etwas unkonventionelleres irisches Folk Festival fand im November in Münster statt. 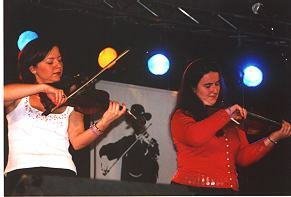 Bei der überaus erfolgreichen ersten Version des Festival dabei waren drei gute Irish Bands aus Deutschland: Whirli Gig, Mookie und Deoch an Dorais. Gerald Trebaticky besuchte Europas wohl bestes Folkfestival und hat sich drei Konzerte herausgepickt, von denen er hier begeistert berichtet..
"June Tabor ist die beste Sängerin der Welt", werden die Kolumnisten nicht müde zu betonen. Karsten Rube hat ein Konzert der englischen Sängerin im Herbst 2001 auf der Bühne des Quasimodo in Berlin erlebt. Das diesjährige Halloween Festival weckte bei Tom Keller Erinnerungen an Irland. Bei dem nicht ganz öffentlichen Festival in Salzgitter waren dabei: Yannick Monot, Ian Campbell & Stephen Smith und Garifin. Irland/Frankreich/Deutschland - Livebericht der Celtic Halloween Tour 2001 Live Bericht.